Absolution organic cosmetics are highly concentrated in active natural ingredients that are essential to skin youth by supplying it with rare, perfectly dosed nutrients. 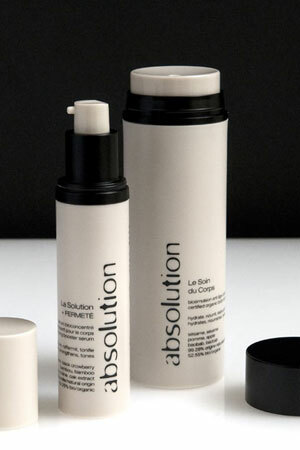 Created in Paris in 2009, Absolution is an organic cosmetics brand designed to simply and efficiently answer skin’s different needs and moods. The organic cosmetics brand Absolution was created by Isabelle Carron, founder of JaK (Just a Kiss), an agency specialized in communication and design strategy. Through her work with the JaK agency, she assisted numerous cosmetics and perfume brands in the creation of their communication strategy, brand image, product design, etc. Isabelle always took pleasure in diving into the world of beauty to shape a brand, give life to its messages and rethink its product range. Yet she always had the feeling that something was missing. Was it candor, simplicity, boldness, maybe a gust of freedom? As an expert of the beauty world, she felt it was time to offer a new approach to cosmetics that was closer to her vision, to combine her desires as a woman and her creative energy to formulate the ideal brand of organic anti-ageing cosmetics. Bolstered by her independence and unshakable determination to combine product efficiency, bold design, pleasure of use and soulfulness, Isabelle brought together an atypical and talented team to gradually create the luxury organic cosmetics brand Absolution. 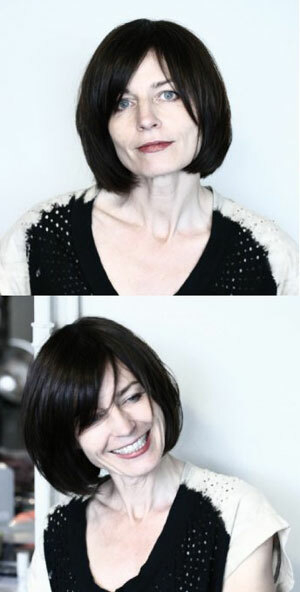 Custom tailoring in cosmetics is the only suitable response to the skin’s behavior and way of functioning. It is an ecosystem that fluctuates and self-regulates according to internal (heredity, diet, smoking, mood, sleep, health stress…) and external conditions (climate, pollution...). Skin is thus in constant movement, sometimes flawless, sometimes a little dull or with small imperfections. Absolution organic skin care cosmetics adapt to the skin’s different moods to supply it with the nutritional elements most needed at a given time. - mix the two products to activate their synergy, and you’re ready to go! The Absolution range has 4 organic moisturizing and anti-ageing creams for both men and women, 4 serums as well as all the essential products for skincare: a make-up remover, a hydrating beauty mask for dry skin and a purifying one for combination skin, a restorative balm and an anti-wrinkle eye contour cream. Formulated from wild or certified organic plant extracts, minerals and vitamins necessary to skin youth and balance, Absolution combines sensual textures and fragrances, ease of use and, of course, formula efficiency. All the brand’s face and body care products contain at least 52% of organic farming ingredients (i.e., at least 99% of plant ingredients are from organic farming) even though only 10% would suffice to be certified organic. The missing percentage is made up of active natural ingredients of the highest quality but that are not cultivable. Hence, they are not eligible to organic farming certification. This applies to wild flowers, minerals, and natural vitamins, all of which are an integral part of Absolution organic anti-wrinkle care products. Made in France, Absolution beauty products are presented in innovative, airless bottles that prevent the product from coming into contact with outside air. This protects the skin care product from oxidation and germs, and eliminates the need for superfluous conservatives. The brand’s certification and ethical commitment guarantee organic cosmetics that are free of parabens, silicones, paraffin, chemical conservatives, mineral oil, phenoxyethanol, GMOs, and synthetic perfume. All the ingredients used in Absolution products are safe for the skin and the environment, both in their usage and their manufacturing process. 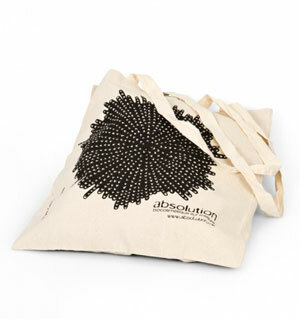 Absolution’s approach to sustainability goes beyond the content of its products and also takes packaging into account. Simply exquisite, Absolution packaging is made without glue from recycled and recyclable fibers that are printed with vegetable-based ink and assembled in an ingenious origami process. Absolution is thus a responsible brand that is truly committed to environmental and health preservation: eco-conceived packaging, suppliers that are carefully selected for their commitment to sustainable development, daily efforts to reduce the environmental impact of its production, and organic cosmetics that are as natural as they are tangible. 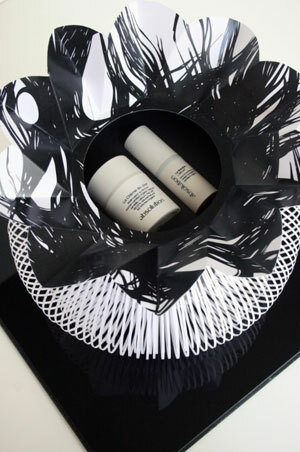 The customized skin care routine by Absolution is a privilege moment, a conversation between you and your skin. It restores and reinforces cutaneous balance for skin that is in top shape. This is equally true for body skin, which also has specific needs. Beyond quenching parched body skin with the Absolution organic moisturizing body milk, it may be necessary to boost skin firmness, elasticity and suppleness once in a while. To do so, Absolution has created a specific serum to firm body skin and prevent loss of elasticity that can also be combined with an Absolution hydrating product. The concept of customization by Absolution is thus also adapted to body skin anti-aging care. To boost the efficiency of its natural cosmetics, Absolution has also developed spa protocols to associate its formulates with precise, technical gestures that produce visible and verifiable results on the skin. Be it at home or in an organic beauty salon, the daily application of Absolution body and facial skincare products ensure an efficient rebalancing and anti-wrinkle treatment for long-term beautiful skin. It provides relief from the stress of urban living and allows one to revel guilt-free in the simple joy of living! A moment of intense relaxation, a sensory experience ... and results ! The signature Absolution facial has been created to reinforce and rebalance the skin ecosystem and keep its promises! Absolution also has a deeply engrained approach to aesthetics. The brand has a unique relationship with art and is distributed in some of the world’s most beautiful concept stores (including a well-known Paris library)! Each brand display is different and adapted to its surroundings. It lends itself to the desire to create, to artistic talent or the beauty of a unique artwork. The Christmas window display in the Bon Marché featuring the artist Sabrina Transiskus’s works deserves a special mention.